Located on the second floor. 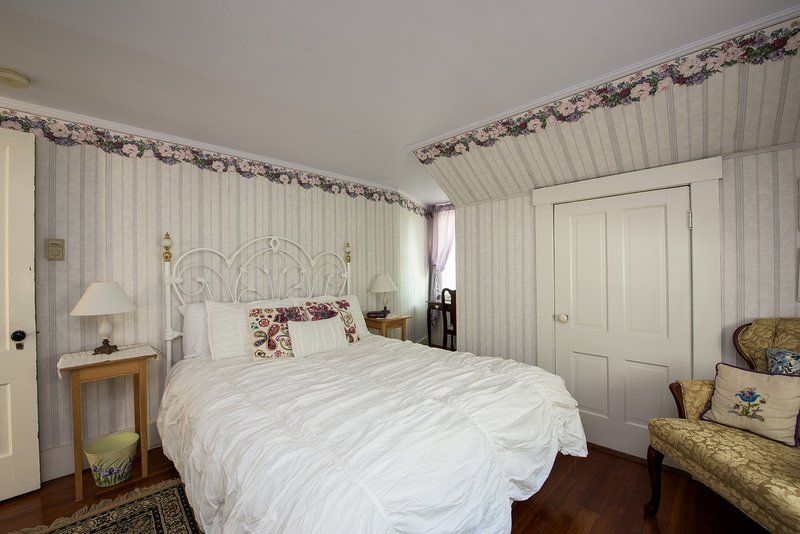 This room has a queen-sized bed, a full private bath located right outside the hallway, and a view of Mt. Monadnock. Room 2 has individual heat control and a sitting area.